Heavy cream is a staple ingredient that many cooks and professional chefs use. However, it does have a high fat content and some people would like to find out if there is any substitute for heavy cream that is healthier but is just as good to the taste. Others also look for a heavy cream substitute when they run out of their favorite ingredient. We’d like to help with all the 3 kinds of heavy cream substitutes. See which one is your favourite. A universal heavy cream substitute is fat-free half-and-half, which is considerably healthier, since it has fewer calories and less fat per cup. It also whips a fluffy topping, just like 1% milk and is good for thickening soups, pastas and sauces while giving food a creamy flavor. 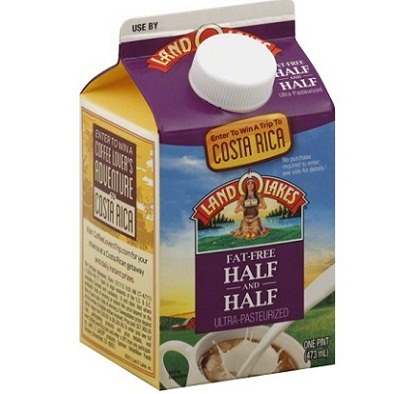 To substitute for one cup of heavy cream in your recipe, use 1/6 cup butter and 7/8 cup half-and-half. Melt butter and allow to cool, then blend in a bowl with the milk. Heavy cream is often used to top a cup of cocoa or a slice of pie to add to its sweetness. For a great heavy cream substitute, you can also whip some 1% milk, using a stick blender, a hand-held electric beater, or a stand mixer. Some people use a milk frother, a special tool used in making espresso to make whipping easier. However, your topping will be bubbly and not as thick as heavy whipped cream. To make better froth, microwave the milk until it boils and then whip it again. Add some stevia sweetener to mimic the flavor of dessert toppings without increasing the calories. Heavy cream is often used in pastas, soups and sauces to create a thick consistency and a full-bodied flavor. To achieve a similar taste and consistency with fewer calories, you can try the following options when cooking. This combination is great when your recipe does not call for whipped heavy cream. 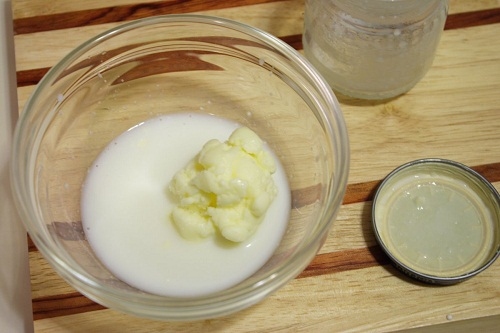 To make a substitute, melt 1/3 cup unsalted butter and add to 3/4 cup milk. If you prefer to use low-fat milk, add 1 tablespoon flour to thicken your mixture and stir well. This is much thicker than regular yogurt and has fewer calories and fat, which makes it a great substitute for heavy cream. However, if you prefer to have some taste of fat in your bread or cookies, use equal amounts of yogurt and whole milk in recipes that include heavy cream. For cheesecake recipes that need some texture, use equal amounts of heavy cream and Greek yogurt. Use low heat when using yogurt because it tends to curdles too fast. If you don’t have Greek yogurt, make your own by covering two cups of regular milk yogurt with cheesecloth. 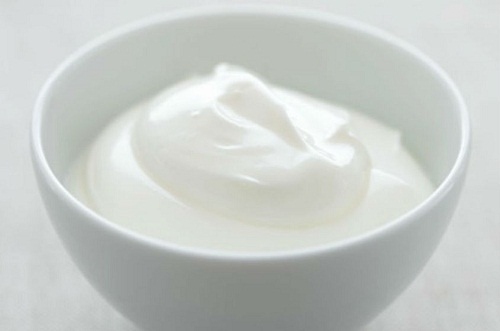 Allow the liquid to drain off for several hours until one cup of thick yogurt is left. If you prefer to use skim milk as a heavy cream substitute, use one cup of milk and add two tablespoons corn starch to thicken the mixture. 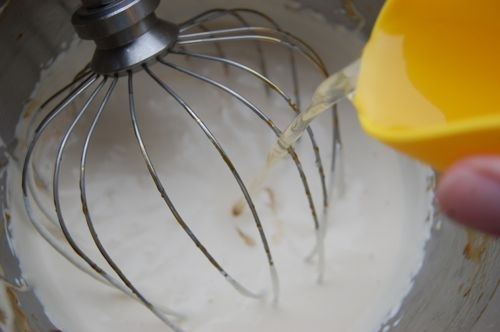 Then use a whisk to briskly mix the ingredients for three to four minutes or until the mixture thickens. 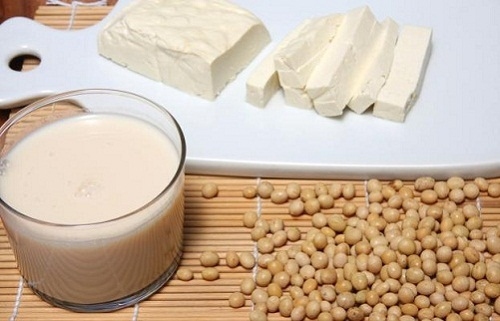 To make a vegetarian or low fat heavy cream substitute, blend tofu and unflavored soy milk until a smooth mixture is produced. This healthy substitute for heavy cream is low in fat and high in protein. Mix equal amounts of cottage cheese with non-fat milk powder to make a low-calorie heavy cream substitute. You can also use skim milk instead of powdered milk for this recipe. Mix the ingredients until there are no more lumps in your mixture. First chill the evaporated milk in a refrigerator. Add vanilla to the milk until you come up with the desired taste. Use this as a heavy cream substitute in soup recipes. Another substitute for heavy cream you can use in soups and sauces is low-fat cream cheese, which provides a similar consistency but with reduced calories and fat. However, you will need only half the amount called for in the recipe. Therefore, for every one cup of heavy cream needed, use only half a cup of cream cheese. 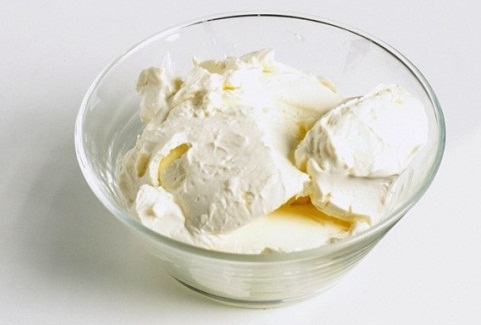 Cream cheese tastes a little bit sour, so avoid using it in recipes that need to be sweet.